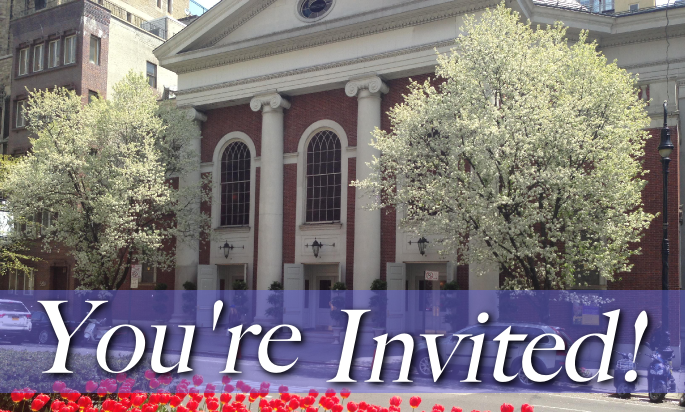 The members of Third Church invite you to participate in and contribute to the activities of our church in New York City from wherever you are! You can listen in to our Sunday services, give testimonies on Wednesday nights, be a part of our Bible Study group, help out with our lectures and website, even attend or teach Sunday School. If you are interested in branch church membership but don’t have an opportunity near you, we would love for you to consider becoming a member of our church. I tried to register ahead of time for your Christmas Eve talk, but all I saw was a yet-to-be-activated replay button. So tonight I went looking for the button, and it’s gone. Very confusing. Any chance to access it after-the-fact? What a wonderful invitation to join your branch! Yes, what a loving idea to invite those dear friends who live too far away and yet want to join a church. With God (Love) everything is possible. Expressing Love is Christmas, the coming of the Christ! Presentation and talk given by Nathan Fredrick.